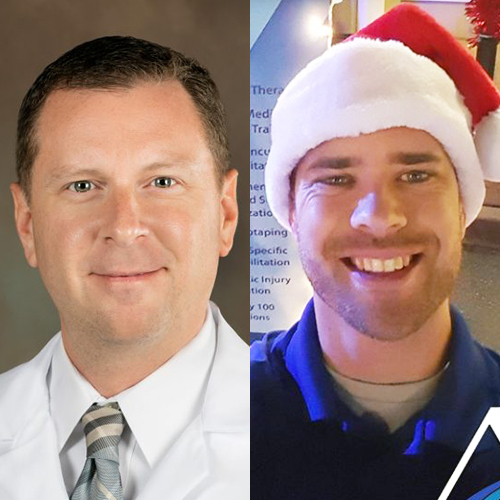 On October 6, Dr. Bill Cooper of The Gessler Clinic and Dr. Nick Pahl of CORA Physical Therapy join JoJo to discuss sports medicine and how physical therapy and orthopedic procedures can help prevent long-term wear and tear. Dr. Cooper provides compassionate, evidence-based care of orthopedic conditions and injuries in patients of all age groups. His areas of expertise and interest cover multiple facets within orthopedic surgery. He is skilled in minimally invasive anterior hip replacements and partial knee replacements as well as more traditional total hip and knee replacements. Dr. Cooper also has extensive experience in arthroscopic management of sports injuries of the knee and shoulder such as ligament reconstruction, rotator cuff repair and stabilizations of shoulder instability. His military background and training has also given him significant experience in fracture management and traumatic injuries. He is also competent in hand conditions such as carpal tunnel syndrome and trigger finger. Dr. Cooper is welcoming new patients.